Bring the Superquadro engine with an unprecedented 116mm bore 205 hp of pure adrenaline and 145 Nm of stunning torque together with the semi-active suspension and electronic steering dampegoverned by the Öhlins Smart EC system and technology takes a giant leap forward. 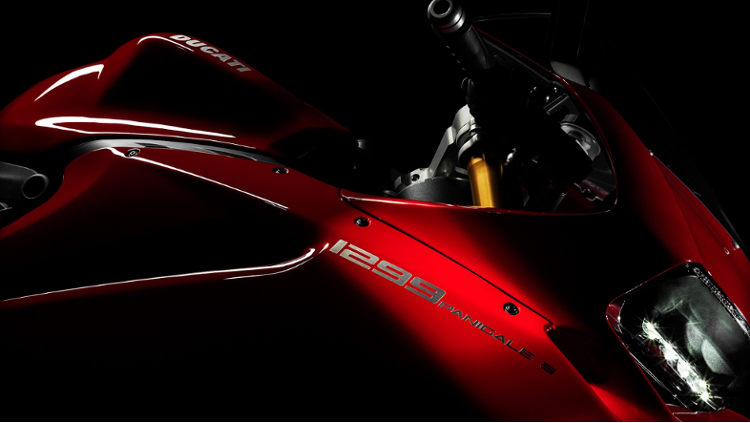 The 1299 Panigale S stands apart with its full LED headlights and carbon fibre mudguard, excelling with auxiliary handlebar buttons and forged wheels. Undoubtedly the most thrilling superbike on the market. Contact us today to book a test ride and find out our latest special offers on the new Panigale S at Ducati Manchester UK. The beauty of speed translated into design. Pure racing spirit is channelled to the rider with a grasp of the 1299 Panigale's handlebars. Large, aggressive air intakes feed the new Superquadro engine and signal no holds-barred competition. 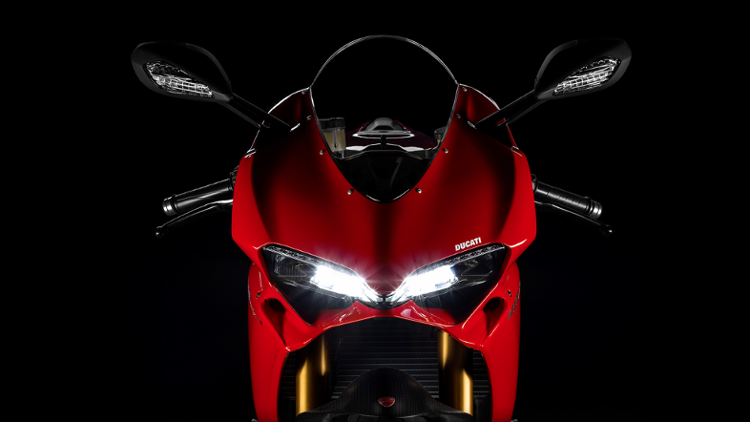 The 1299 Panigale and Panigale R feature an advanced headlight with LED positioning lights, while the 1299 Panigale S uses a full LED headlight for the ultimate statement of technical cool. In the rear all models use a full LED taillight which accents the all-new split tail, while a perfectly integrated under-belly exhaust keeps the lines clean and pure. An award-winning integration of engineering and design, the Panigale gets the adrenaline flowing from the first glance.Power, agility, and sophistication, wrapped in the very best Italian style.. The new Superquadro engine is ingeniously incorporated into the Monoscocca chassis, providing the perfect platform from which to deliver its incredible 205 horsepower. The underside of the fuel tank, when mounted, seals the top of the frame which then becomes the airbox. Innovative engineering solutions such as these are used throughout the Panigale line, and take the dry weight of the 1299 Panigale S down to 166.5 kg. 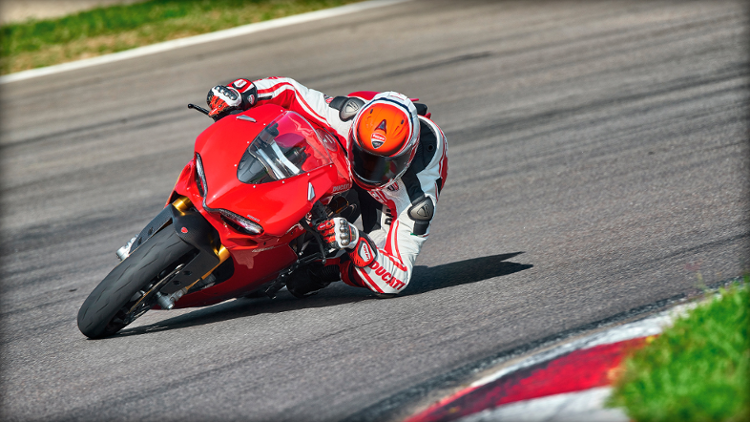 The total focus on light weight gives each Panigale a power-to-weight ratio that sets the reference in its class. Combined with advanced electronic controls and the finest brakes, suspension, and other components, this creates an incredibly potent package that takes riders to the very apex of performance. 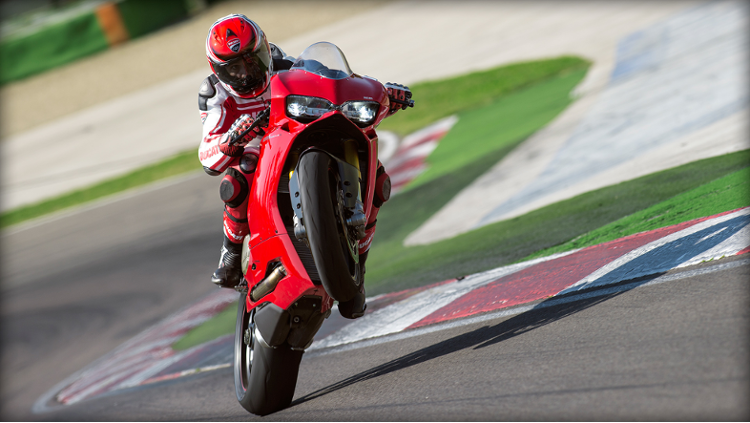 Precision riding, at the highest level, with the character and exhilaration that only a Ducati Superbike can provide. 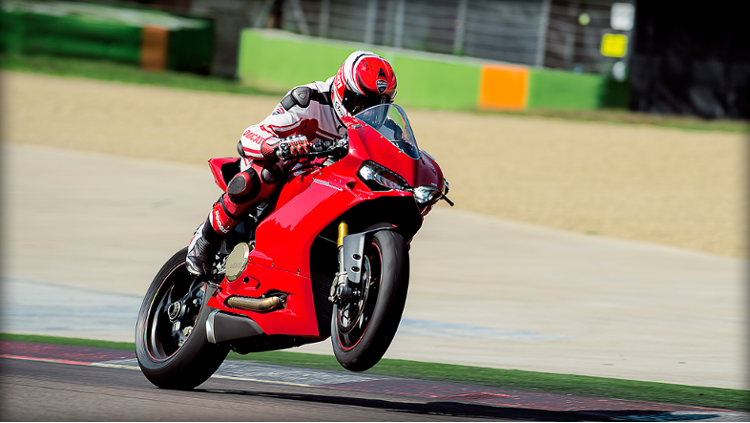 Ducati's Riding Modes allow a rider to instantly vary key characteristics of the 1299 Panigale to suit different conditions or rider preferences - engine power and delivery, traction control, wheelie control, ABS, engine braking, and - exclusively on the 1299 Panigale S - suspension behaviour. Three pre-set configurations, Race, Sport, and Wet, are available to be selected by using buttons mounted on the handlebar. But these are only a starting point, as each configuration can be completely customized according to the specific level of each control parameter desired by the rider. With three custom setups ready at the push of a button, the Panigale superbikes become perfectly tailored partners to the rider's unrelenting pursuit of speed. Customise your Ducati Panigale with our full range of 2015 Panigale Parts & Accessories online. Also at Ducati Manchester we have a full range of 2015 Panigale Clothing & Accessories available at our online Ducati Store. The new Superquadro's bore/stroke ratio of 1.91:1 sets an extreme example of the power-maximizing "oversquare" architecture used in the world's most advanced racing engines. A short-stroke crankshaft and enormous pistons combined with large Desmodromically-actuated valves allow the Superquadro to breathe freely at high rpm, while a 1285cc combustion chamber ensures the ample torque that has made so many enthusiasts fall in love with Ducati's signature L-twin power. 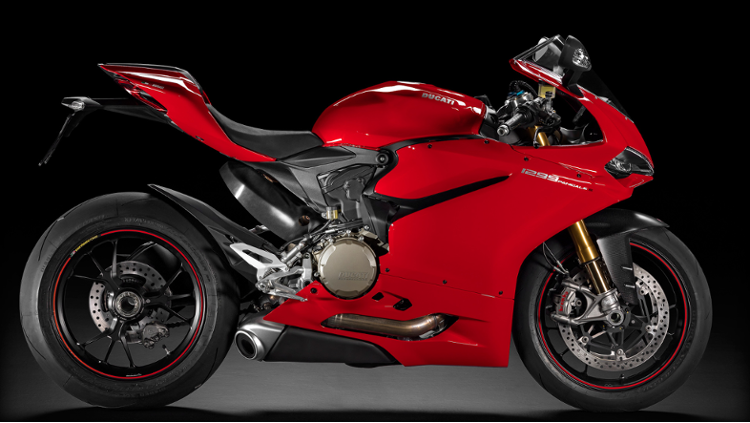 The Panigale's Monoscocca chassis forms its structural backbone - compact, rigid, lightweight, and multi-functional. 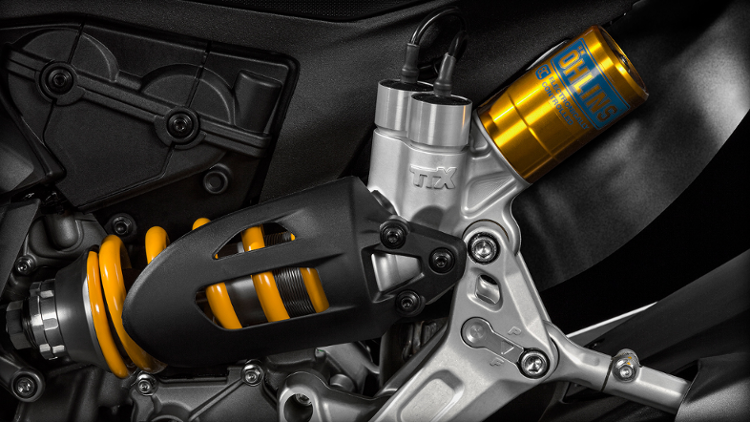 Cast in aluminium, it attaches at its rear directly to the heads of the Superquadro engine and contains the steering head and bearings at its front. In addition to performing the function of a traditional frame, the Monoscocca also serves as the airbox and in this way significantly contributes to lowering the overall weight of the motorcycle. Housed inside it are the air filter, throttle bodies and fuel circuit complete with injectors, making it truly unique and a revolutionary advancement to the world of traditional motorcycle construction. 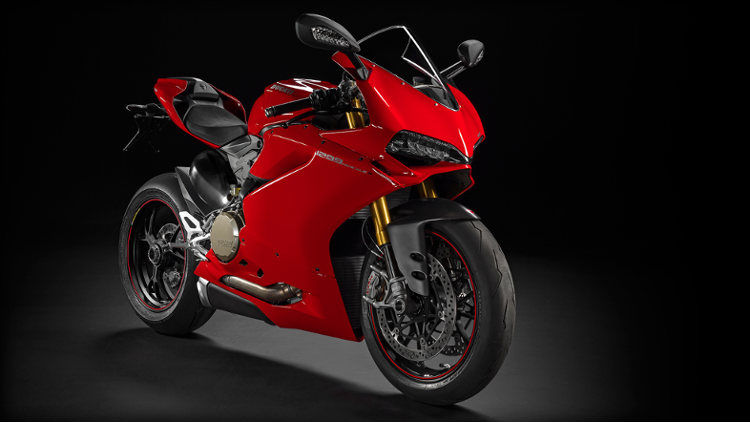 With an aggressive design enhanced by full LED headlamps, a front mudguard in carbon fibre, forged Marchesini wheels, Ohlins Smart EC semi-active suspension and steering damper, and auxiliary handlebar control buttons, the 1299 Panigale S is bristling with features and technology that make it the complete package for performance riding.